Mercado Global’s annual celebration is the organization’s premier New York fundraising event that brings together leaders from the fashion, business, finance, and international development sectors to support Mercado Global’s innovative poverty alleviation model and raise awareness around the growing ethical fashion movement. 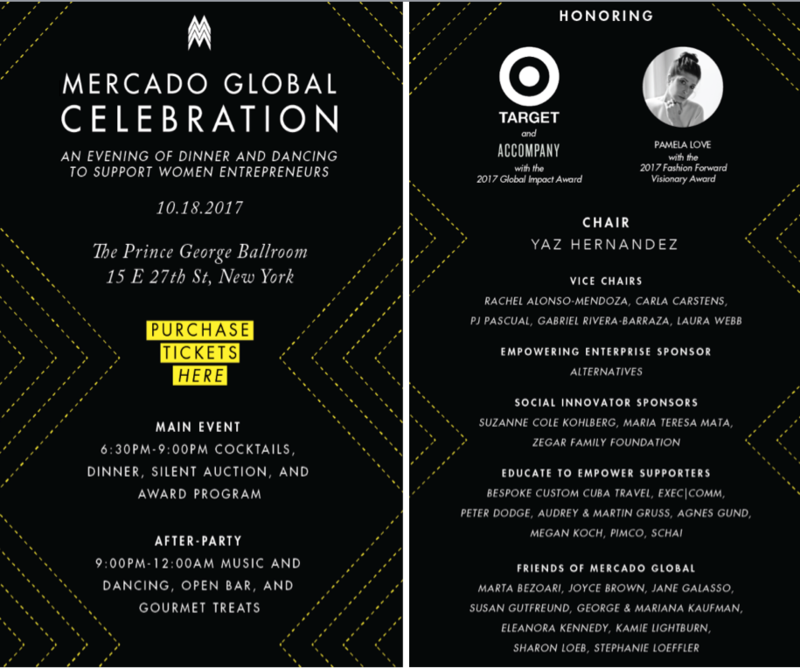 Mercado Global Celebration is an evening of dinner to support women entrepreneurs on October 18, 2017 at the The Prince George Ballroom (15 East 27th street, New York). The benefit will honor Target and Accompany with the Global Impact Award and Pamela Love with the 2017 Fashion Forward Visionary Award. 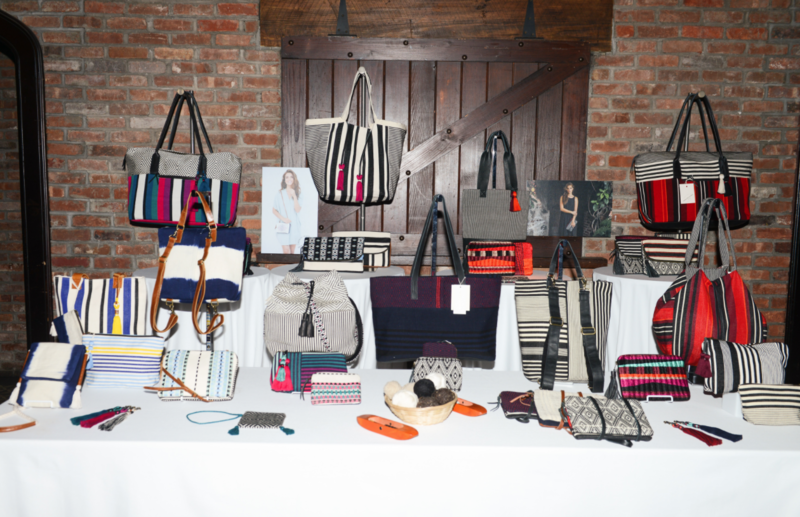 Chaired by Yaz Hernández, this year’s will celebrate Mercado Global’s work to empower women and promote ethical practices in the fashion industry. Business leaders, top retailers, major philanthropists, and members of the press will enjoy an evening of inspiration and action set against a three-course dinner, open bar, silent auction, which starts at 6:30 and an after- party featuring a special guest DJ from 9PM to midnight. plus premier table seating and an exclusive pre-event meet and greet with honoree and press.